I read this article and found it very interesting, thought it might be something for you. The article is called Indian Agriculture’s Rs 200,000 Crore, 5-Year Unpaid Power Bill and is located at https://archive.indiaspend.com/sectors/indian-agricultures-rs-200000-crore-5-year-unpaid-power-bill. Do farmers really benefit from subsidised power? That question deserves a careful answer but what is fairly clear is that the overall cost of subsidised power on the country has been very heavy. IndiaSpend’s Sourjya Bhowmick finds that agriculture ranks 3rd among all sectors in India when it comes to consuming power but raises the lowest revenue. And of course, it pulls the highest amount as subsidy (Rs 2 lakh crore). IndiaSpend earlier reported on the equation between agricultural productivity and rainfall. India’s agriculture (52% derive their livelihood from farming) is, to say the least, totally dependent on monsoon; lesser the rainfall, lesser the productivity and thus the adverse impact on growth. Reasons vary from poor access to irrigation and backward techniques used in agriculture. Irrigation, which is the solution, needs power and therein lies the connection. So power and power subsidies in some ways become imperative to protect farmers. India is at the bottom of the table of electricity consumption. However, agriculture in India still comprises 14.2% of the gross domestic product. Agriculture’s share, as can be seen, is 3rd. In 2010-11 it was around 19% out of the total consumption of 694,392 Gigawatt/hour, which is lower than Industry (39%) and Domestic (24%). From the table, it can be seen that subsidy to agriculture surpasses the next largest sector by a huge margin. A whooping Rs 207,652 crore has gone as subsidy to agriculture during the last five years. During this period, agricultural productivity has come down and monsoon has been erratic. The dire condition of the monsoon right now may lead to more subsidy than decided for the agriculture sector this year. From the table above, we see that the average tariff is the lowest for agriculture. The average tariff has increased every year for agriculture but it still remains the lowest, forcing the highest subsidy. And thus the vicious cycle continues. What can be the way out? Many states have huge debt due to free rural electricity… Schemes like Gujarat’s Jyotigram Yojana may be the solution. Jyotigram Yojana is a state sponsored scheme aimed at providing farmers electricity in a phased manner. The average expenditure per village is Rs 6.72 lakh, and the total expenditure planned is Rs 1,290 crore. The scheme has already reduced the distribution losses by 3.74% and transmission failure by 1.17% in one year in 2005-06. Madhya Pradesh is also planning to implement the Gujarat model very soon. A separate feeder for the agriculture sector. 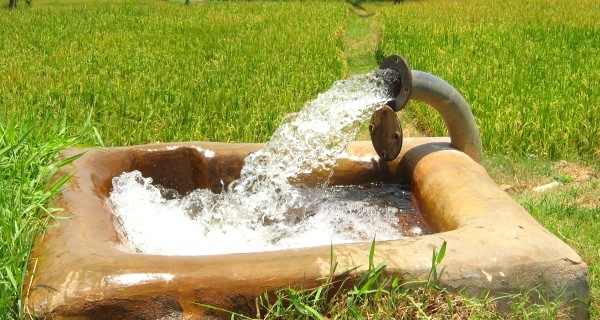 Agricultural consumers are billed monthly on the basis of newly installed pump sets and at least 50 paise/unit. These recommendations, if implemented could give some respite from the subsidy burden for agriculture, and improve the financial status of the power utilties.